Posted on Friday, November 27, 2015 at 3:12 AM into csharp, code, tutorial & video by Steve Woods. Roughly a 1 minute read. 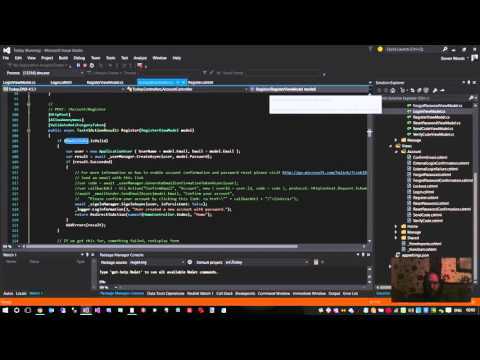 In this C# tutorial series I show you how to create a simple multi-user ASP.NET 5 todo list application using .NET MVC 5, Entity Framework, Migrations, SQL Server and Identity. Please consider what you post! Copyright © 1998 - 2019 Steve Woods, All Rights Reserved - Warning, may contain nuts.